A new Roush exhaust kit has debuted for the Ford F-250 and F-350 Super Duty pickups. It is designed for the 2017 to 2019 models. The Roush exhaust kit is intended for the F-250 and F-350 Super Duty pickups sporting the 6.7-liter Power Stroke V8 Turbo Diesel. The kit includes 5-inch vented exhaust tips etched with the Roush logo for a 25% larger exhaust tip over stock. The Michigan tuner promises the enhancements will make your truck stand out just in case people aren’t noticing your pickup that has 450 horsepower and 935 pound-feet of torque that can tow up to 21,000 pounds. The Roush exhaust kit is constructed from durable, long-lasting 304 stainless steel and is mandrel bent to ensure consistent exhaust flow. According to some experts, mandrel bending adds 3 to 5 percent horsepower and torque. 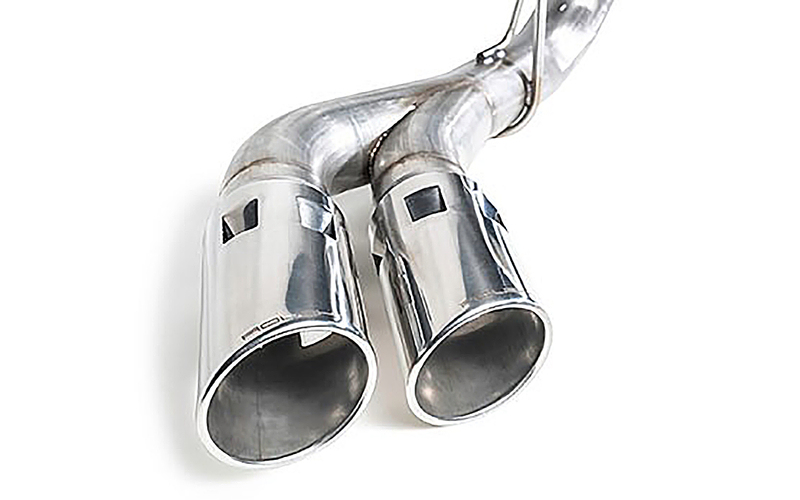 The exhaust also has a single piece design for precise fitment and weight savings over the stock exhaust kit. The installation of the new exhaust kit will take about 30 minutes, according to Roush. No special tools are required and an instruction manual is available for download at the Roush site. An OEM exhaust gasket is included for a seamless installation. Recently, the 2019 Roush Ford F-250 and F-350 Super Duty pickups were unveiled. 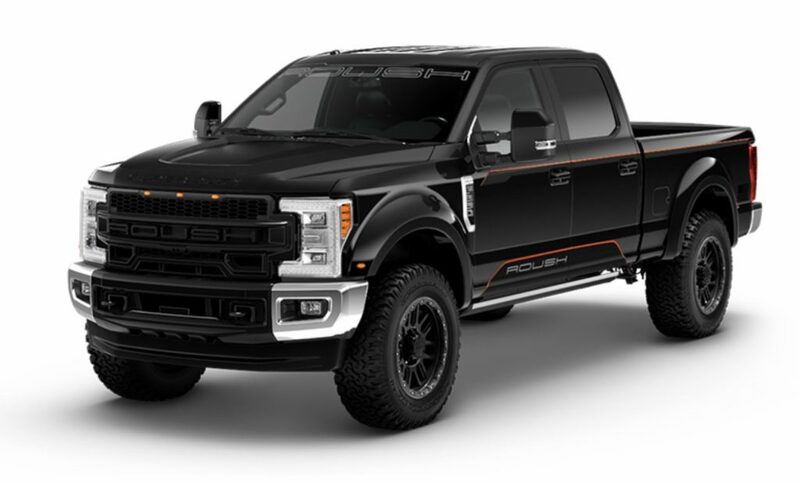 Each Roush Super Duty pickup gets a Roush / Fox 2.0 Performance Series Suspension upgrade, which raises the truck 1.5-inches yet Roush says that the augmentation maintains all factory towing and hauling capabilities. There’s also a complete Roush F-250 pickup designed for off-roading. It’s the first time Roush has ever added an F-250 pickup to its roster of vehicles. Roush has given the F-250’s suspension a thorough upgrade. The pickup features Fox 2.0 Performance Series suspension system, 1.5-inch leveling kit, 20-inch Roush wheels, and BFGoodrich KO2 All-Terrain 35.3-inch tires. Body-color matching fender flares have been beefed up the pickup’s exterior to create an imposing look. The cost of the exhaust kit is $729. It comes with the Roush limited lifetime warranty.